UC ANR participated for the first time in the UC systemwide Maintain Don't Gain Challenge, closing 2018 mindful of their holiday eating habits and positioning themselves for a healthful beginning of the New Year.  In all, 144 UC academics and staff signed up for the challenge. The first 100 received an insulated grocery tote, donated by Kaiser Permanente, as an incentive. The challenge began just before Thanksgiving and ended a week into 2019. Each participant tracked his or her own weight and received support and tips from weekly emails penned by the UC ANR Staff Assembly Wellness Committee. 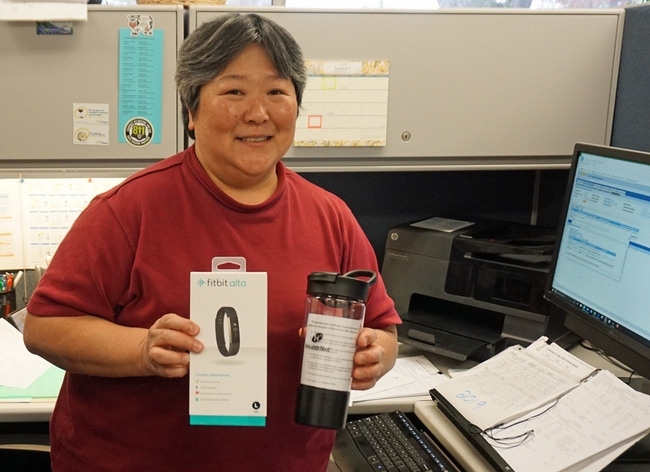 At the end of the program, participants were invited to complete a survey about the experience, which made them eligible to win a FitBit Alta from Kaiser and a mixer bottle, donated by HealthNet. Joyce Hatanaka, a payroll services team leader in the UC ANR Business Operations Center at Kearney, won the Maintain Don't Gain Challenge completion prize. Most of the 62 respondents said the challenge entered their minds when faced with an array of holiday goodies. Fifty-two respondents reported that they maintained their weight or lost weight during the holiday season. "This was a fun competition in our office! We all held each other accountable," wrote one respondent on the completion survey. Wrote another respondent, "It was fun. Part of what helped me keep my goals was imagining that other people were also taking part in the challenge. I lost about 6 pounds during this event adding more steps to my daily activities and eating smaller portions and healthier choices. I look forward to continue losing weight now. :)"
The UC ANR Wellness Committee is now making plans for UC Walks 2019, which takes place on May 1. Contact your local Staff Assembly Ambassador to sign up to participate and get a free t-shirt. Find your ambassador at this link: http://staffassembly.ucanr.edu/Ambassadors/Find_your_UC_ANR_Staff_Assembly_Ambassador/. If your location doesn't have an ambassador, you can volunteer to coordinate UC Walks at your site. Just email jewarnert@ucanr.edu.